The umbilical cord helps to keep the fetus alive and healthy during pregnancy. After birth, this cord is typically cut and discarded. More than ever parents are electing to save the blood from the umbilical cord, known as cord blood which has been known to be life changing for families. The Umbilical cord blood is known to contain potentially life-saving stems cells. When used in hematopoietic stem cells transplantation, umbilical cord blood offers several distinct advantages over bone marrow or peripheral stem cells. Request more information about cord blood banking today: call (949) 829-5500 or request an appointment online. Cord blood banking is useful mostly for future treatment of the baby from which they were drawn. That’s because the blood and stem cells will be a 100% match for the child from which they were taken. Cord blood may also be effective when used to treat a sibling of the child the blood was taken from. Why do families bank their baby’s cord blood and tissue? Cord blood transplants are standard therapies for nearly 80 diseases. More recently, cord blood use has expanded into clinical trials in the area of regenerative medicine in an effort to help kids with conditions such as autism and cerebral palsy. Cord tissue contains special types of stem cells–mesenchymal cells which are showing great potential in regenerative medicine for the future treatment of medical conditions affecting cartilage, muscles, and nerve cells. Additionally, a significant amount of research is underway to better understand if cord tissue stem cells can help conditions once thought untreatable such as Parkinson’s disease, type 1 diabetes, and autism. 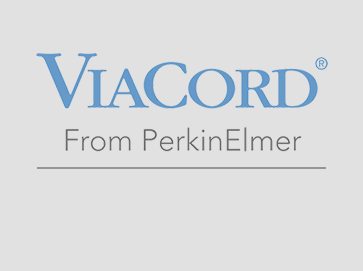 Visit Clinicaltrials.gov or type Cord Blood or Cord Tissue in the search box to learn more about ongoing trials. This blood is drained in to a special collection bag, itself a small part of a larger collection kit.